Bring home the Guardians of the Galaxy Vol. 2 Baby Groot Playing Cards! From Marvel's Guardians of the Galaxy Vol. 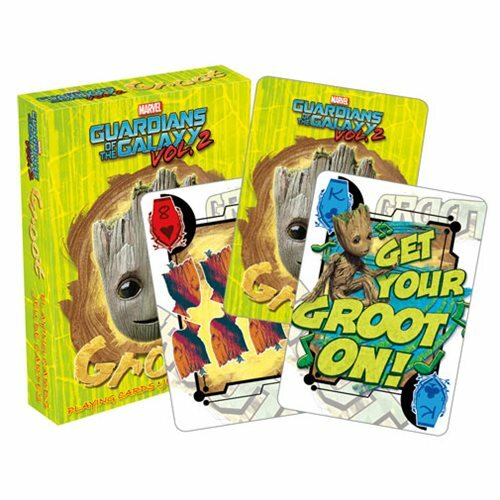 2 comes a deck of playing cards featuring all things Baby Groot, based on his appearance in the film. These nifty cards are great for professional players and fans, measuring approximately 2 1/2-inches x 3 1/2-inches with a linen type finish. Ages 14 and up.